This past Monday morning, political reform "geeks" – like us at CC/WI – huddled over the U.S. Supreme Court website, eagerly anticipating and expecting the nation's highest court to render its long-anticipated decision in Gill v. Whitford, the case in which a federal court declared that Wisconsin's hyper-partisan, secretive, expensive (to Wisconsin taxpayers) gerrymandered redistricting process in 2011 by the Republicans, was unconstitutional. 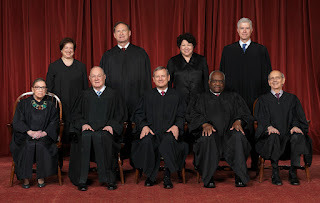 In November 2016, a panel of three federal judges said that, in effect, the partisan Republican maps violated the equal protection clause of the U.S. Constitution and effectively disenfranchised many voters who voted for Democratic state legislative candidates because – even if a majority of voters voted Democratic – there was no chance that a Democratic legislative majority could be achieved because of the way the voter maps were configured, in secret, and at tremendous cost to Wisconsin taxpayers. The U.S. Supreme Court accepted the case for consideration and judgment last year and oral arguments were heard last October. Earlier this year, the Court combined the Wisconsin case with a partisan gerrymander by Democrats of a congressional district in Maryland that had long elected a Republican. Their decision was not handed down last Monday. We are now expecting that the decision could come as soon as this Monday, June 11th. 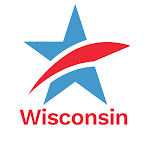 Last Sunday, CC/WI Director Jay Heck appeared on the statewide ABC public affairs television program: "UpFront With Mike Gousha," to preview this critical decision, and particularly what it means for Wisconsin voters. You can view that segment here. We will be back on watch this early Monday morning to digest the expected decision and let you know what it means. Stay tuned. Wisconsin Still Waiting for U.S. Supreme Court Decision That May End Hyper-Partisan GerrymanderingTweet this!